200 pages | 8 B/W Illus. Mainstream quantitative analysis and simulations are fraught with difficulties and are intrinsically unable to deal appropriately with long-term macroeconomic effects of disasters. In this new book, J.M. 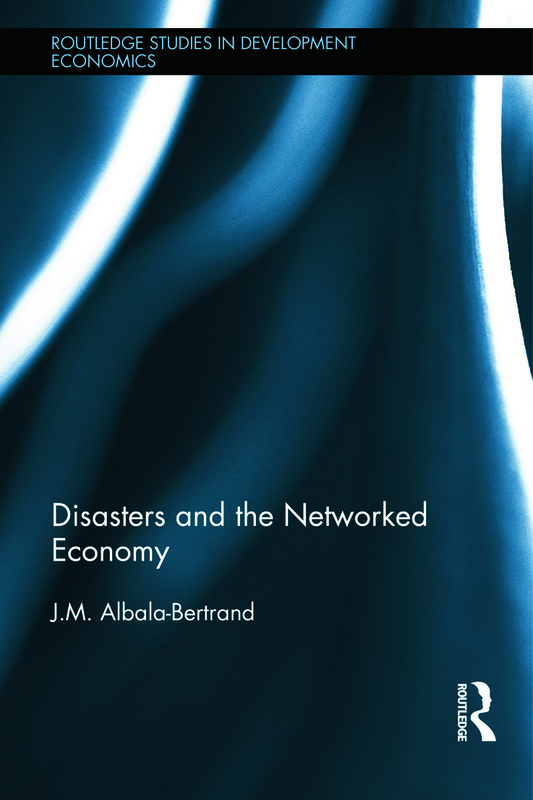 Albala-Bertrand develops the themes introduced in his past book, The Political Economy of Large Natural Disasters (Clarendon Press, 1993), to show that societal networking and disaster localization constitute part of an essential framework to understand disaster effects and responses. The author’s last book argued that disasters were a problem of development, rather than a problem for development. This volume takes the argument forward both in terms of the macroeconomic effects of disaster and development policy, arguing that economy and society are not inert objects, but living organisms. Using a framework based on societal networking and the economic localization of disasters, the author shows that societal functionality (defined as the capacity of a system to survive, reproduce and develop) is unlikely to be impaired by natural disasters. This book will be of interest to scholars and practitioners involved in disaster analysis and response policy, and will also be relevant to students of development economics. J.M. Albala-Bertrand is a development economist and teaches economics at Queen Mary, University of London, UK.